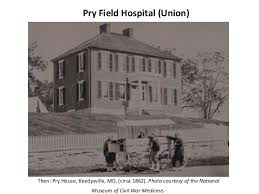 As a nurse, I worked in a nursing facility that was once a hospital during the Civil War. If I could list some of the most haunted places in South Carolina, that place would be on the top of the list, without a doubt. Besides definite feelings of being watched, sensing someone there who wasn’t and other poltergeist activity, I had four major incidents that have never left me. The first experience I had was while sitting at the desk eating a cracker. I had set all the charts I would be charting in for the night on top of the counter that surrounded the desk. I noticed one of them did a 180 degrees turn. It wasn’t the whole pile - it was just the top chart. “Don’t do it,” I commanded sensing it was about to be knocked to the floor. All of a sudden it flew about five feet away and hit the wall. I was cussing up a storm when the CNA came out of a room, saw me picking papers up off the floor and stopped to help me. I noticed at random times my pens and lighters would turn up missing. The CNA’s would find them in rooms I had no cause to go into. Many times I would be at another station talking to my co-worker and would find my lighter or a pen similar to mine setting there. I remember one night while checking patients I saw this bright shadow light on the wall. Its was perfectly symmetrical; an orb. I stood back against the opposite wall for about five minutes and just watched it. It didn’t shimmer, shake, waver, or move in any direction the whole time. I looked up and down the hall to see what would create that light in that specific spot and could find no kind of light source. The orderly came out of a room and saw me standing there. “Is there a problem,” he asked. “What light,” he asked stepping closer to me to see what I was referring to. “This light,” I answered turning back to the sphere. It was gone. I never saw it again. I hated the second floor. In order to get to the nursing station, you had to walk through the sitting room and it totally creeped me out. The patient’s rooms that lined the wall of that area were the worst for me. I frequently had the feeling I would walk in and find something “non-living” wandering around in there. Especially when the call light to one specific room would ring off the hook and the two people in there were semi-comatose. “Someone” was ringing the light and it wasn’t them. We had to keep the call station off almost all the time and just watch for it to light up whenever a patient called us. It was because of that particular room always ringing that we did this. The electricians could find no reasonable cause for it to buzz again whenever we shut it off. I went to check on a patient one night on an adjacent hall. I remember walking in and seeing his roommate’s bed against a doorway that led to a closet. You could see the shelves in the closet room lined with bed sheets and towels so I knew it was a linen closet. I thought that odd to put a bed there against the entrance into another room. That morning while making rounds with the on-coming nurse, the closet was gone! There was nothing there but a wall behind that man’s bed. I rechecked the room before his and after to be sure I had the right room. “What are you looking for,” the on-coming nurse asked. “There was a closet door behind him when I was in here last night,” I explained. I went around the corner, down the hallway and opened the door she directed me to. It was the same closet room I had seen behind the patient’s bed. That second floor was just horrible. “It isn’t raining,” my daughter deemed. “We’ll go that way. C’mon, Mom,” she insisted dragging me toward the back staircase. It turned out, it was worse than the front stairway. I had never told my daughter about any of the hauntings so it wasn’t like she was feeding off my emotions. I didn’t know what to think of it myself so I didn’t talk about it even with my husband. She had no way of knowing. The final incident that occurred took place a couple of weeks before I left there for good. I was sitting in the sitting area taking a lunch break with my fellow co-worker. She was telling me about a new job offer she had when all of a sudden, a wheel chair left behind by one of the CNA’s, did a complete circle before rolling itself down the hallway. It made jerking motions as if someone were sitting in it and manipulating the wheels. The girl freaked out. I was trying to calm her when one of the aids came out of the room to see what the commotion was about. Just as suddenly as it began to roll, it stopped right in the middle of the hallway. The aid retrieved it and brought it back to the sitting area. I frequently kept checking on my girl that night. She was really spazzed out. Sadly, she never came back to work after that and I left shortly thereafter.